"Bob knows the law unlike anyone I have ever met." Looking for Relief from a Criminal Conviction? Has a loved one or friend recently been convicted of a crime? Is a loved one or friend currently serving a prison sentence and you are wondering if anything can be done? Can their sentence be reduced? Call The Attorney Who Actually Enjoys This Work, Who Has Actually Done This Work And Is Ready To Put That Experience To Work For You, Your Loved One Or Your Friend. 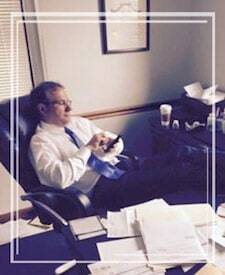 Call The Attorney Who Is “ Lead Counsel Rated ” For His Outstanding Appellate Work Over 25 Years! Call The Pittsburgh Criminal Defense Attorney Who Knows Every Possible Avenue To Obtain Relief For A Person Convicted Of A Crime. Call The Pittsburgh Criminal Defense Attorney Who Knows, Understands And Has Obtained Nearly Every Possible Form Of Relief For A Client Following A Conviction. The battle may just be starting! A mistake may have been made with respect to selection of trial counsel. Don’t make that mistake with selecting an attorney for the appeal. If the appeal period is over, you may not have any other choice than to call Attorney Mielnicki. Few Attorneys have Attorney Mielnicki’s Post-Conviction experince. Attorney Mielnicki does not solicit court appointments but he is often appointed by judges to represent defendants who have filed their own post-conviction petitions following convictions for murder and other serious crimes. Why? Because Those judges know pittsburgh criminal appeal Attorney Robert E. Mielnicki knows what to do and, win or lose, will get the job done right! Many criminal defense attorneys do not handle appeals. Many criminal defense attorneys shouldn’t handle appeals because, they either do not have the desire to understand the law pertaining to all avenues of potential relief, or simply hate research and writing briefs. That is not the case with Pittsburgh Criminal Appeal Attorney Robert E. Mielnicki. He enjoys research. He enjoys writing briefs. Pittsburgh Criminal Attorney Robert E. Mielnicki first felt the joy of winning a criminal jury trial in 1992. Attorney Robert E. Mielnicki felt the joy of winning a murder trial for an 18 year old he felt was innocent, in 1994. In 2014, however, after 4 years of exhaustive work, Pittsburgh Criminal Attorney Mielnicki felt the joy of getting a man a new trial, who was convicted in 2002 of second degree murder and serving a sentence of life, by obtaining a writ of habeas corpus for him in Federal Court. That 4 year battle, and the result Attorney Mielnicki obtained, is the reason this portion of this website was created. He still remembers calling that man’s aunt with the good news. This man was likely not guilty and received nothing close to a fair trial or proper representation at trial. Pittsburgh Criminal Appeal Attorney Robert E. Mielnicki was one of the first attorneys, if not the first attorney, to successfully challenge the retroactive application of SORNA/Adam Walsh Act to those who entered plea agreements to crimes that did not require registration at the time of their plea. Pittsburgh Criminal Appeal Attorney Robert E. Mielnicki successfully argued that Pennsylvania’s mandatory minimum sentence for an assault on a minor was unconstitutional and saved his client at least 5 years in jail. Pittsburgh Criminal Appeal Attorney Robert E. Mielnicki is licensed to argue before the United States Supreme Court. Convicted of a crime and unhappy with your Attorney? 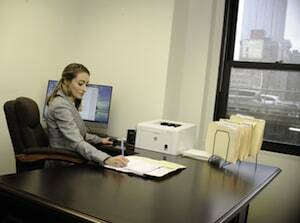 Call Pittsburgh Criminal Attorney Robert E. Mielnicki at (412) 288-0300. Already Appealed Your Conviction and Been Unsucessful? Call Pittsburgh Criminal Attorney Robert E. Mielnicki at (412) 288-0300. Serving A Prison Sentence Or Have A Friend Or Family Member Serving A Prison Sentence And Believe That You Have No Options? Call Pittsburgh Criminal Attorney Robert E. Mielnicki At (412) 288-0300. It Doesn’t Matter if You are in Pittsburgh, Philadelphia or any County in Between! Are you unhappy with your conviction or with what happened in Court? Are you the relative or a friend of a person serving a sentence after being convicted of a crime? You or they have potential legal rights and remedies at your disposal, including appeals, habeas corpus petitions, and post-conviction relief act petitions (or PCRAs). 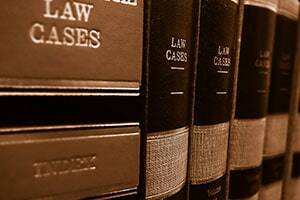 These rights and remedies are largely affected by that which has already occurred in your case. Important: In most situations, the ability to utilize these rights is TIME SENSITIVE. As a result, you need to contact an attorney to discuss these rights AS SOON AS POSSIBLE. Following a finding of guilt, a defendant will be sentenced. Once sentenced, he or she shall have a right, within ten days of that sentencing, to file an optional post-sentence motion. When Pittsburgh Criminal Appeal Attorney Robert E. Mielnicki first started practicing criminal law, it was necessary to file a post-sentence motion before an appeal was filed. This resulted in defendants sitting in jail for long periods of time before they could even appeal to a higher court. Meanwhile, the delay was often caused by asking the trial judge to correct an error that he or she made during the trial or prior to trial, something they were unlikely to do. The filing of a post-sentence is now optional but there is one instance where such must be filed – if you intend to argue that your verdict was against the weight of the evidence, you must set forth such first in a post-sentence motion. A challenge to the sufficiency of the evidence need not be initially set forth in a post-sentence motion. What is the difference? A challenge to the sufficiency of the evidence is an argument that no jury should have returned a verdict of guilty. An argument that a verdict was against the weight of the evidence is an argument that while the evidence was sufficient to support the guilty verdict, that verdict was against the weight of the evidence, maybe because the defense presented a strong but unaccepted defense. Except as provided in paragraphs (C) and (D), a written post-sentence motion shall be filed no later than 10 days after imposition of sentence. within 30 days of the entry of the order memorializing the withdrawal in cases in which the defendant withdraws the motion. If the defendant does not file a timely post-sentence motion, the defendant’s notice of appeal shall be filed within 30 days of imposition of sentence, except as provided in paragraph (A)(4). If the Commonwealth files a timely motion to modify sentence pursuant to Rule 721, the defendant’s notice of appeal shall be filed within 30 days of the entry of the order disposing of the Commonwealth’s motion. a motion to modify sentence. The defendant may file a supplemental post-sentence motion in the judge’s discretion as long as the decision on the supplemental motion can be made in compliance with the time limits of paragraph (B)(3). Issues raised before or during trial shall be deemed preserved for appeal whether or not the defendant elects to file a post-sentence motion on those issues. Briefing Schedule. Within 10 days after a post-sentence motion is filed, if the judge determines that briefs or memoranda of law are required for a resolution of the motion, the judge shall schedule a date certain for the submission of briefs or memoranda of law by the defendant and the Commonwealth. Hearing; Argument. The judge shall also determine whether a hearing or argument on the motion is required, and if so, shall schedule a date or dates certain for one or both. Transcript. If the grounds asserted in the post-sentence motion do not require a transcript, neither the briefs nor hearing nor argument on the post-sentence motion shall be delayed for transcript preparation. Time Limits for Decision on Motion. The judge shall not vacate sentence pending decision on the post-sentence motion, but shall decide the motion as provided in this paragraph. Except as provided in paragraph (B)(3)(b), the judge shall decide the post-sentence motion, including any supplemental motion, within 120 days of the filing of the motion. If the judge fails to decide the motion within 120 days, or to grant an extension as provided in paragraph (B)(3)(b), the motion shall be deemed denied by operation of law. Upon motion of the defendant within the 120-day disposition period, for good cause shown, the judge may grant one 30-day extension for decision on the motion. If the judge fails to decide the motion within the 30-day extension period, the motion shall be deemed denied by operation of law. When a post-sentence motion is denied by operation of law, the clerk of courts shall forthwith enter an order on behalf of the court, and, as provided in Rule 114, forthwith shall serve a copy of the order on the attorney for the Commonwealth, the defendant’s attorney, or the defendant if unrepresented, that the post-sentence motion is deemed denied. This order is not subject to reconsideration. If the judge denies the post-sentence motion, the judge promptly shall issue an order and the order shall be filed and served as provided in Rule 114. If the defendant withdraws a post-sentence motion, the judge promptly shall issue an order memorializing the withdrawal, and the order shall be filed and served as provided in Rule 114.
the qualified right to bail under Rule 521(B). After-Discovered Evidence. A post-sentence motion for a new trial on the ground of after-discovered evidence must be filed in writing promptly after such discovery. Summary Case Appeals. There shall be no post-sentence motion in summary case appeals following a trial de novo in the court of common pleas. The imposition of sentence immediately following a determination of guilt at the conclusion of the trial de novo shall constitute a final order for purposes of appeal. That your lawyer did a bad job (was ineffective) and in doing so deprived you of your rights (but this must usually be raised in a Petition for Post-Conviction Relief). General rule. Except as otherwise prescribed by this rule, the notice of appeal required by Rule 902 (manner of taking appeal) shall be filed within 30 days after the entry of the order from which the appeal is taken. Cross appeals. Except as otherwise prescribed in subdivision (c) of this rule, if a timely notice of appeal is filed by a party, any other party may file a notice of appeal within 14 days of the date on which the first notice of appeal was served, or within the time otherwise prescribed by this rule, whichever period last expires. An order changing venue or venire in a criminal proceeding. See Rule 311(a)(3) (change of criminal venue or venire). An order in any matter arising under the Pennsylvania Election Code. An order in any matter arising under the Local Government Unit Debt Act or any similar statute relating to the authorization of public debt. Where an election has been filed under Rule 311(b) (order sustaining venue or personal or in rem jurisdiction), the notice of appeal shall be filed within 30 days after the filing of the election. In a criminal case in which no post-sentence motion has been filed, the notice of appeal shall be filed within 30 days of the imposition of the judgment of sentence in open court. In Pennsylvania, the appeal goes to the Pennsylvania Superior Court. A person convicted of a crime has the right to appeal to the Pennsylvania Superior Court. If the appeal is from a sentence of death, the appeal goes directly to the Pennsylvania Supreme Court. Once the appeal is filed, the trial court will request the attorney to file a statement of matters complained of and then author an opinion. Once that opinion is prepared, a briefing schedule is issued and briefs are prepared. Oral argument is a matter of right unless the appeal is from the grant or denial of a petition for post-conviction relief. There are attorneys who actually believe that not requesting oral argument can be advantageous to the client. Attorney Mielnicki respects that opinion but disagrees with it. Either side can request re-argument from a decision of the Pennsylvania Superior Court or, where the matter is of importance or where the decision seemingly is at odds with that of another decision of the Superior Court, re-argument en banc. Within 30 days of the final decision of the Pennsylvania Superior Court, a defendant or the Commonwealth can seek allowance of appeal from the Pennsylvania Supreme Court. One can then file a Petition for Writ of Certiorari before the United States Supreme Court within 90 days of the decision of the Pennsylvania Supreme Court, which may not to have heard the appeal at all, but simply denied the allowance of appeal. The United States Supreme Court hears very few appeals. Pittsburgh Criminal Appeal Attorney Robert E. Mielnicki is licensed to practice before the United States Supreme Court. If the appeal is unsuccessful, one can file a Petition for Post-Conviction Relief. If they wish to assert a claim that their counsel was ineffective and such harmed them, in most situations this is and must be, set forth in a Petition for Post-Conviction Relief. The Petition for Post-Conviction Relief, except in certain and limited situations, can only be raised in a Petition for Post-Conviction Relief. The time limit for filing a Petition for Post-Conviction Relief is one year from when the judgment of sentence became final. A judgment of sentence becomes final when the person’s appeal is over or when the person’s time to have appealed is over. Pennsylvania requires that the person seeking relief via a PCRA be serving a sentence at any point in time they could receive relief. This means that a person could timely file the PCRA but cease to be serving the sentence before the court can grant relief. Pittsburgh Criminal Appeal Attorney Robert E. Mielnicki, in at least 2 cases at the time this is being written, is seeking to change that law. serving a sentence which must expire before the person may commence serving the disputed sentence. That the allegation of error has not been previously litigated or waived. That the failure to litigate the issue prior to or during trial, during unitary review or on direct appeal could not have been the result of any rational, strategic or tactical decision by counsel. Exception. Even if the petitioner has met the requirements of subsection (a), the petition shall be dismissed if it appears at any time that, because of delay in filing the petition, the Commonwealth has been prejudiced either in its ability to respond to the petition or in its ability to re-try the petitioner. A petition may be dismissed due to delay in the filing by the petitioner only after a hearing upon a motion to dismiss. This subsection does not apply if the petitioner shows that the petition is based on grounds of which the petitioner could not have discovered by the exercise of reasonable diligence before the delay became prejudicial to the Commonwealth. Extradition. If the petitioner’s conviction and sentence resulted from a trial conducted in his absence and if the petitioner has fled to a foreign country that refuses to extradite him because a trial in absentia was employed, the petitioner shall be entitled to the grant of a new trial if the refusing country agrees by virtue of this provision to return him and if the petitioner upon such return to this jurisdiction so requests. This subsection shall apply, notwithstanding any other law or judgment to the contrary. Original jurisdiction. Original jurisdiction over a proceeding under this subchapter shall be in the court of common pleas. No court shall have authority to entertain a request for any form of relief in anticipation of the filing of a petition under this subchapter. the right asserted is a constitutional right that was recognized by the Supreme Court of the United States or the Supreme Court of Pennsylvania after the time period provided in this section and has been held by that court to apply retroactively. Any petition invoking an exception provided in paragraph (1) shall be filed within 60 days of the date the claim could have been presented. For purposes of this subchapter, a judgment becomes final at the conclusion of direct review, including discretionary review in the Supreme Court of the United States and the Supreme Court of Pennsylvania, or at the expiration of time for seeking the review. For purposes of this subchapter, “government officials” shall not include defense counsel, whether appointed or retained. No court shall have the authority to issue a stay of execution in any case except as allowed under this subchapter. Except for first petitions filed under this subchapter by defendants whose sentences have been affirmed on direct appeal by the Supreme Court of Pennsylvania between January 1, 1994, and January 1, 1996, no stay may be issued unless a petition for postconviction relief which meets all the requirements of this subchapter has been filed and is pending and the petitioner makes a strong showing of likelihood of success on the merits. Suspended by Pennsylvania Supreme Court Order of Aug. 11, 1997, imd. effective (27 Pa.B. 4298). Where a petitioner requests an evidentiary hearing, the petition shall include a signed certification as to each intended witness stating the witness’s name, address, date of birth and substance of testimony and shall include any documents material to that witness’s testimony. Failure to substantially comply with the requirements of this paragraph shall render the proposed witness’s testimony inadmissible. When a claim for relief is based on an allegation of ineffective assistance of counsel as a ground for relief, any privilege concerning counsel’s representation as to that issue shall be automatically terminated. An issue that has developed over the past few years is DNA testing that exonerates a convicted defendant. As already mentioned, there are time limits to file a PCRA but there are exceptions for after-discovered evidence and specifically for DNA testing. The law pertaining to post-conviction DNA testing is set forth in 42 Pa.C.S.A. § 9543.1. If a person convicted of a crime intends to take his matter to Federal Court in a Habeas Corpus petition, That peron must exhaust his or her state court remedies. This means the person must present those issues they intend to raise in State Court and have appealed to the Pennsylvania Superior Court. In many states, exhaustion requires an effort to take a matter to the highest appelate court in that State but in Pennsylvania, the matter only has to be taken to the Pennsylvania Superior Court. A habeas corpus petition filed in federal court is really known as a Section 2254 Petition to those attorneys who handle such matters. So often, Attorney Mielnicki has taken over matters in Federal Court where the state court appeal process was handled by an attorney who simply did not care to properly preserve the issues for Federal Court or did not know how to do so. It is important that a person who has been convicted of a serious crime who wants to or may need to utilize all post-conviction procedures that they hire an experienced and competent attorney from the start. The Supreme Court, a Justice thereof, a circuit judge, or a district court shall entertain an application for a writ of habeas corpus in behalf of a person in custody pursuant to the judgment of a State court only on the ground that he is in custody in violation of the Constitution or laws or treaties of the United States. An application for a writ of habeas corpus may be denied on the merits, notwithstanding the failure of the applicant to exhaust the remedies available in the courts of the State. A State shall not be deemed to have waived the exhaustion requirement or be estopped from reliance upon the requirement unless the State, through counsel, expressly waives the requirement. An applicant shall not be deemed to have exhausted the remedies available in the courts of the State, within the meaning of this section, if he has the right under the law of the State to raise, by any available procedure, the question presented. resulted in a decision that was based on an unreasonable determination of the facts in light of the evidence presented in the State court proceeding. the facts underlying the claim would be sufficient to establish by clear and convincing evidence that but for constitutional error, no reasonable factfinder would have found the applicant guilty of the underlying offense. If the applicant challenges the sufficiency of the evidence adduced in such State court proceeding to support the State court’s determination of a factual issue made therein, the applicant, if able, shall produce that part of the record pertinent to a determination of the sufficiency of the evidence to support such determination. If the applicant, because of indigency or other reason is unable to produce such part of the record, then the State shall produce such part of the record and the Federal court shall direct the State to do so by order directed to an appropriate State official. If the State cannot provide such pertinent part of the record, then the court shall determine under the existing facts and circumstances what weight shall be given to the State court’s factual determination. A copy of the official records of the State court, duly certified by the clerk of such court to be a true and correct copy of a finding, judicial opinion, or other reliable written indicia showing such a factual determination by the State court shall be admissible in the Federal court proceeding. Except as provided in section 408 of the Controlled Substances Act, in all proceedings brought under this section, and any subsequent proceedings on review, the court may appoint counsel for an applicant who is or becomes financially unable to afford counsel, except as provided by a rule promulgated by the Supreme Court pursuant to statutory authority. Appointment of counsel under this section shall be governed by section 3006A of title 18. The ineffectiveness or incompetence of counsel during Federal or State collateral post-conviction proceedings shall not be a ground for relief in a proceeding arising under section 2254. Unlike nearly every other issue that a trial court decides against a person, civil or criminal, a first appeal of a Section 2254 Petition is not a matter of right. The District Court that denies such a petition must grant the party desiring to appeal a “Certificate of Appealability.” If the District Court denies the petitioner the Certificate of Appealability, then that person can appeal to the Court of Appeals and immediately request such from that court. The Court of Appeals does often grant such. Application for the Original Writ. An application for a writ of habeas corpus must be made to the appropriate district court. If made to a circuit judge, the application must be transferred to the appropriate district court. If a district court denies an application made or transferred to it, renewal of the application before a circuit judge is not permitted. The applicant may, under 28 U.S.C. §2253, appeal to the court of appeals from the district court’s order denying the application. In a habeas corpus proceeding in which the detention complained of arises from process issued by a state court, or in a 28 U.S.C. §2255 proceeding, the applicant cannot take an appeal unless a circuit justice or a circuit or district judge issues a certificate of appealability under 28 U.S.C. §2253(c). If an applicant files a notice of appeal, the district clerk must send to the court of appeals the certificate (if any) and the statement described in Rule 11(a) of the Rules Governing Proceedings Under 28 U.S.C. §2254 or §2255 (if any), along with the notice of appeal and the file of the district-court proceedings. If the district judge has denied the certificate, the applicant may request a circuit judge to issue it. A request addressed to the court of appeals may be considered by a circuit judge or judges, as the court prescribes. If no express request for a certificate is filed, the notice of appeal constitutesa request addressed to the judges of the court of appeals. A certificate of appealability is not required when a state or its representative or the United States or its representative appeals. Note the reference to 28 U.S.C. §2255 in the above discussion. Such is the Federal equivalent of the Section 2254 Petition that applies to those convicted of crimes in Federal Court. Such is typically known as Motion to Vacate.